I NEED my veggies, my burger is not complete without a layer of tomatoes, a blanket of lettuce, a few peppered pickles, and onions to taste. You give me a bare burger and I’ll give it back. However, I will admit…I HATE shopping for vegetables. I don’t know where they were grown, what they were grown in, when they were picked, and by whom. Plus the expense, I get why people are so quick to bypass vegetables when they can get double or triple the amount of junk food or “easy” food for half the cash. I was shocked upon talking to my favorite gardener, my neighbor Floyd about his process of tomato growing and his dedication in gardening the way he was taught many, many, many years ago. He starts his plants in gallon sized pots in the tail end of January. He keeps them warm and safe in his covered patio. He keeps them there for roughly three to four weeks, ensuring the seeds have time to put down roots. After they’ve matured, you can transplant them into your garden. If you’ve planted more than one, you’ll want to space them two to three feet apart, giving them enough room to grow without hindering each other. 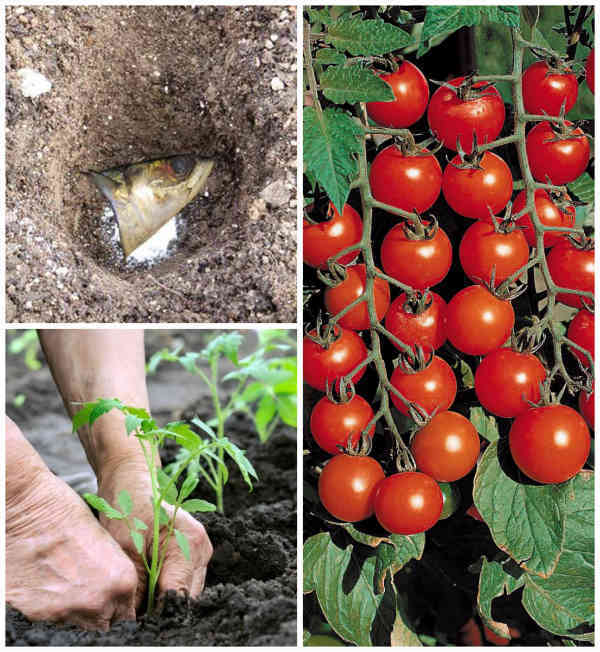 The hole should be fairly deep, allowing most of the seedling to be covered in soil once it’s planted. Check out how to grow the bumper crop on the next page! I promise it will be worth reading!